The unusual striated rock formations of Pemaquid point look like ocean waves turned to stone - many a sea vessel lost in the fog have sailed up onto them with disastrous results. 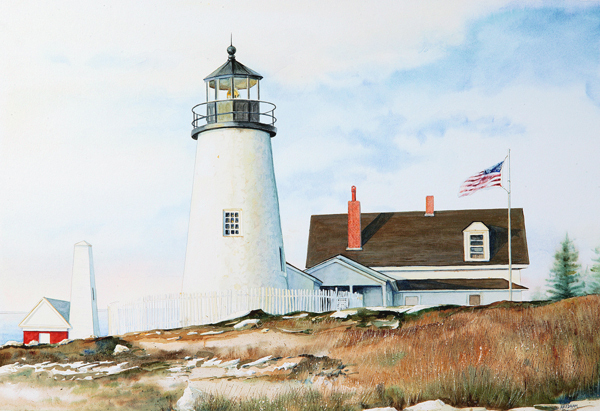 Established in 1827, the Pemaquid Point Light has prevented many such wrecks. Nowadays the dwelling house is an excellent museum and the station still employs its fourth-order Fresnel lens that flashs white light that can be seen some fifteen miles away.